The sought-after destination of Los Cabos, Mexico will be the set for the third annual Los Cabos International Film Festival this fall. Formerly known as the Baja International Film Festival, the internationally renowned event will take place November 12-16, 2014, and a “last” call for entries is underway, with filmmakers and producers invited to submit entries by July 31, 2014. The nearly week-long festival will bring filmmakers, celebrities and A-list personalities from Mexico, United States and Canada together in Los Cabos to build a platform for cultural and business exchange in the film industry and provide an opportunity for attendees to interact with the industry’s key players. Supporters of the Festival in years past included notable film industry players like Edward Norton – who is a member of the advisory board this year – as well as Matt Dillon, Josh Lucas, Gael Garcia Bernal, Diego Luna and Melissa Leo among many more. Attendees will enjoy screenings of international films, interact with decision makers in the film industry and attend workshops and panel discussions with actors and producers that provide tools to film enthusiasts. 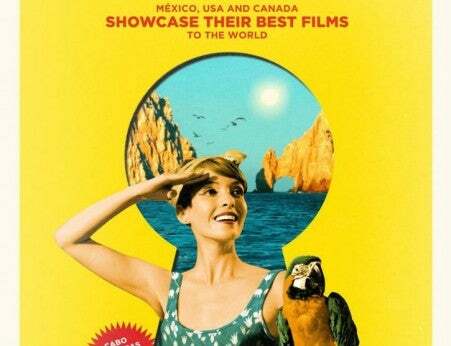 The LoS Cabos International Film Festival invites filmmakers and producers to submit their work by July 31, 2014 to its official selection under any of the following sections: Mexico First and Los Cabos Competition, and industry selection: Work in Progress Mexico, Mexico-USA-Canada Co-Production Forum and the Gabriel Figueroa Film Fund. Films produced in 2013-2014 that did not participate in previous Los Cabos International Film Festival editions are eligible to participate. Los Cabos Competition is open to feature films, fiction or documentaries produced in Mexico, USA or Canada. Films under this category will compete for a $15,000 grant to be awarded to the film’s producer. AddItionally the Mexico First section is open to Mexican films and the winner will be awarded a $15,000 prize to be given to the film’s director and a $40,000 grant from MOVIECITY. This award consists of the acquisition of rights for the MOVIECITY television channels throughout Latin America. MOVIECITY is a subscription-based service dedicated to showing new releases and exclusive uncensored movies in Latin America. Six Mexican films will be selected to participate in the Work in Progress Mexico category and will be awarded a $10,000 cash prize. MOVIECITY will select a film from this section and will give an acquisition of rights award for their television channels throughout Latin America, worth a value of $30,000. For the Mexico-USA-Canada Co-production Forum, twelve projects will be selected (four per country). Representatives from each film will have access to one-on-one meetings with key members of the film industry and potential co-producers participating in the Festival. Additionally, the Los Cabos International Film Festival will award an $8,000 cash prize to the winning project selected by the Forum jury. The four selected Mexican projects will be invited to participate in the Co-production Forums of Moscow Business Square, Tribeca Film Institute, Strategic Partners and DOCSDF. For second year in a row, the Gabriel Figueroa Film Fund (GFFF) will select seven Mexican feature films, fiction or documentary and support them with $5,000 each. The Gabriel Figueroa Fund, named after one of the greatest filmmakers of Mexico, a cinematographer from the Golden Age of Mexican Cinema, is proud to partner for consecutive year with the Los Cabos International Film Festival to support filmmakers in the early stages of film development. The deadline to submit entries is July 31, 2014. For additional information on submission dates, forms and eligibility please visit: http://cabosfilmfestival.com/call-for-entries.